Plato hated rhetoric. He worried that it made the “worse appear the better reason,” that it was a form of “flattery” designed to pull the wool over the eyes of the ignorant multitudes. Joe Biden is capable of delivering a moving, inspiring speech. This was not his best. Michelle Obama shone bright on the first day of the Democratic National Convention. She had many tough acts to follow (you can read about them here), but once she took the stage, she made you forget all the other speeches that came before. Preparing for the Democratic Convention: What’s the Best Argument? Now it’s the Democrats’ turn. During their convention, they must make a case akin to a trial lawyer’s closing argument: Clear, strong and full of conviction. Everything changes. It’s almost like an Etch A Sketch. You can kind of shake it up and restart all over again. Admitting to this plan was roundly criticized as folly, but candidates traditionally must fine-tune (or even significantly overhaul) their messages as they transition from the primary race to the general election. The conventions offer a candidate the opportunity to introduce himself to voters who do not yet know him, and focus attention on his central themes. Republicans were treated to two powerhouse speeches during the second day of their national convention. Condoleezza Rice and Paul Ryan both demonstrated a flair for verbal persuasion, but in two very different ways. Their speeches, taken side by side, show that there are many paths to the top of the rhetorical mountain. The trick is to choose the one that suits your own personal, authentic style. 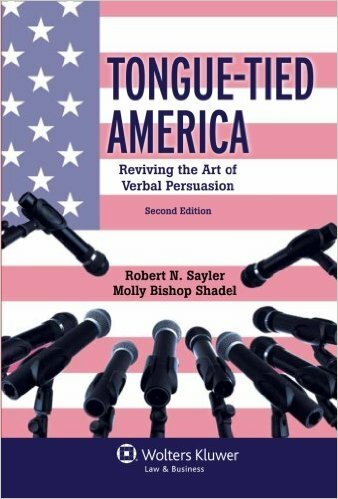 A presidential campaign offers the perfect opportunity to better understand how verbal persuasion works in action. The party conventions, political debates and various campaign speeches are exercises in rhetoric. The candidates and their supporters will try to persuade you of the wisdom of their positions; you may engage in a little political debating of your own with friends and family. If you know how rhetoric works, you will be better positioned to evaluate the political campaigning that you hear, and to make some successful arguments yourself.